The Community Service Office was situated in downtown Topeka, Kansas. 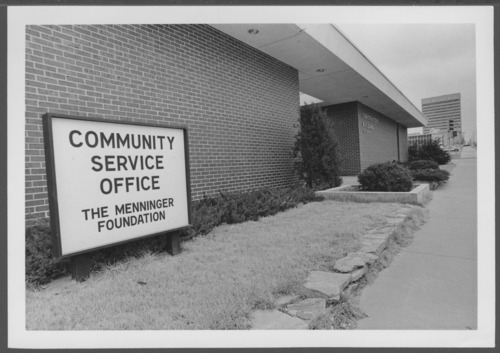 The Community Service Office (CSO) was Menninger's outreach to members of the Topeka community for out patient mental health care. Dr. C.F. Menninger and his sons, Dr. Karl and Dr. Will, founded the Menninger Clinic for mental-health treatment, education, research, and prevention in Topeka in 1925.